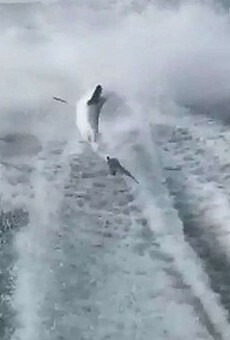 Michael Wenzel, one of three Florida idiots who filmed themselves dragging a live shark behind a boat back in 2017, will get a slap on the wrist for abhorrent animal abuse. According to the Tampa Bay Times, Wenzel appeared in court Thursday morning in front of Hillsborough Circuit Judge Mark Wolfe and admitted to two misdemeanor crimes of animal cruelty and using an illegal method to catch a shark. Wenzel was then sentenced to 10 days in the Hillsborough County Jail, which he can do on the weekends, and 11 months of probation. He made no public apology. One of the other men charged in the case, Robert Benac, rejected a similar plea deal, and charges against the third man, Spencer Heintz, were previously dropped, reports the Times. 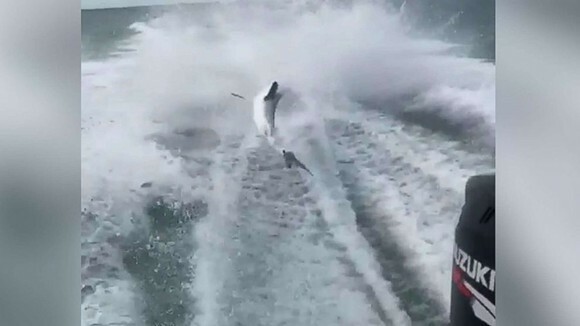 The disturbing video at the center of the case surfaced in December of 2017, showing the three men aboard a boat smiling and laughing while a live shark was brutally dragged at high speeds. 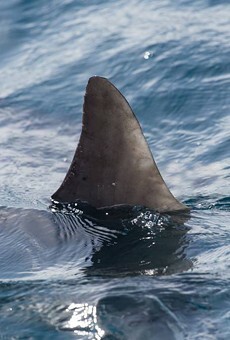 "Look it’s already almost dead," says one of the men in the video, while laughing and pointing at the shark. 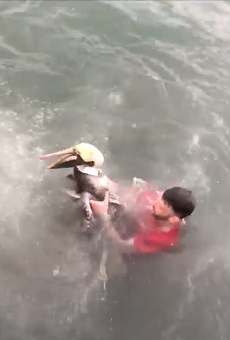 Besides the shark dragging video, Wenzel's social media accounts also showed him allegedly abusing pelicans, catching illegal tarpon, and in one photo, holding a dead dog with a rope around it's neck.